William Lane Craig is one of the top Christian apologists alive today. So when he writes a book on apologetics, I expect it to be well-argued and -reasoned. But I do not necessarily expect it to be accessible to the average reader, for better or for worse. 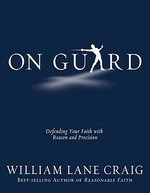 Yet On Guard, released this week by David C. Cook Publishers, is just that and more. This book is ready-made for undergraduate classes, church small groups or any Christian looking for an introduction to the key arguments in defense of Christianity. Most of the content is not new to the discussion, but the format by which it is presented is. This is one of the primary appeals to this work. There are wide margins on the pages perfect for note-taking, unless that space is used for definitions of key words and logical fallacies. There are even profiles of some of the key thinkers along the way. Craig presents the chapters in ascending logical order of arguments, from "What difference does it make if God exists?" to "Is Jesus the only way to God?". 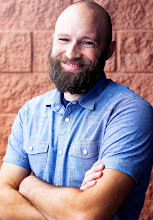 Along the way he hits some of the most popular arguments today for God's existence: the moral argument, the design argument, and of course the kalam cosmological argument, which Craig is especially well-known for modifying in his doctorate thesis. If there is one weakness in the book, it is that it tries to be all things to all men. While the book is meant to be introductory, there are points when the content will simply be heavy lifting due to the subject matter at hand—despite the occasional single-panel cartoon thrown in. And the "Talk About It" questions seemingly geared for the small group are, in my humble opinion, more distracting than beneficial. With only these few exceptions, William Lane Craig has written the perfect introduction to Christian apologetics. I know it will be among the first books I recommend when a Christian wants to get his feet wet in the defense of the Christian faith. Even to those familiar with the arguments, this book will be a worthwhile tool to add to the belt. This book was a free review copy provided by David C. Cook Publishers.